The new House of Castagneto rises on a splendid natural terrace on Lake Garda, overlooking the picturesque town of Gargnano, a few kilometers away from the main road Gardesana Occidentale SS45bis, quick to reach from the hamlet of Navazzo. 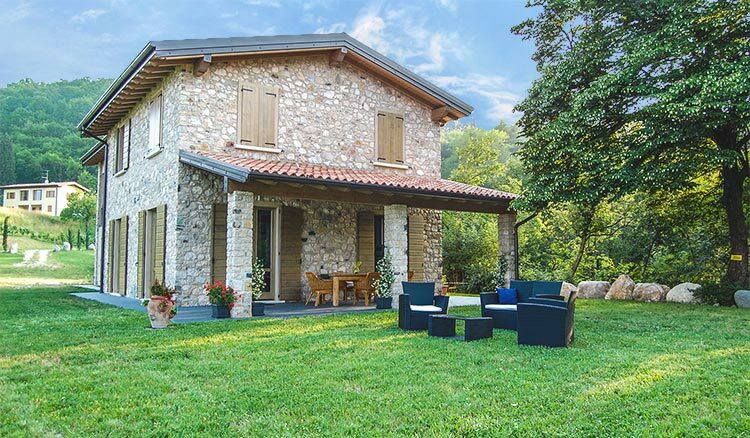 Surrounded by a 360 ° breathtaking view of the imposing Monte Baldo, the sweetness of Lake Garda and the lush vegetation of meadows and woods, the new Castagneto House is located in a beautiful natural park of 20 hectares owned by ancient noble family of the Counts Feltrinelli, thus being able to offer all its guests the opportunity to live in nature - the real lady of the house- unique and exciting moments surrounded by all the comforts of a real country house. The architecture incorporates elements of the rural houses of the area, wood and stone, respecting the principles of eco-sustainability such as the use of a wood fueled fireplace for hot water and heating. The furnishings of the house reflect the desire for sustainability: all the furniture and lights are ethnic and design, made of natural materials (wood banana, bamboo, pearl, stones,..) and recyclable. 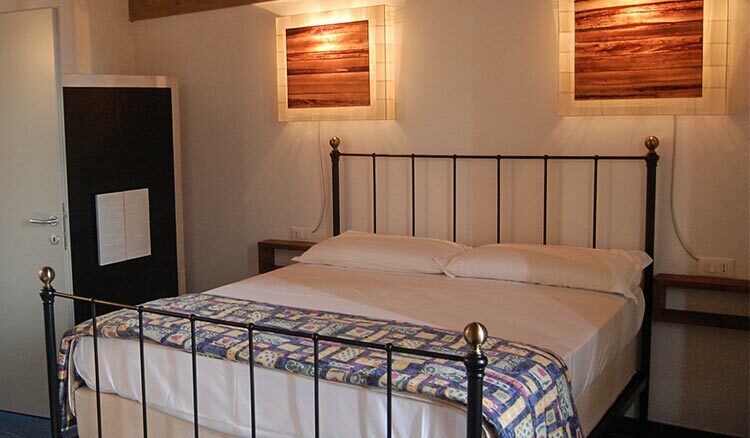 Castagneto House offers holiday accommodation in the villa or in the adjacent ground floor apartment, either with use of the kitchen (with a minimum of nights of stay depending on the season) and with the breakfast service. For lunch and dinner we can recommend taverns and restaurants of every level of the surroundings, some within a short walk through the chestnut forest to the center of Navazzo, where there are also two grocery stores. Castagneto House offers its guests the opportunity to participate in agricultural activities of the season and offers discovery programs of the territory, together with their dogs or horses, with the support of specialized staff. By choice there is no link for television but it is made available to guests a WiFi connection.